Lawson et al. 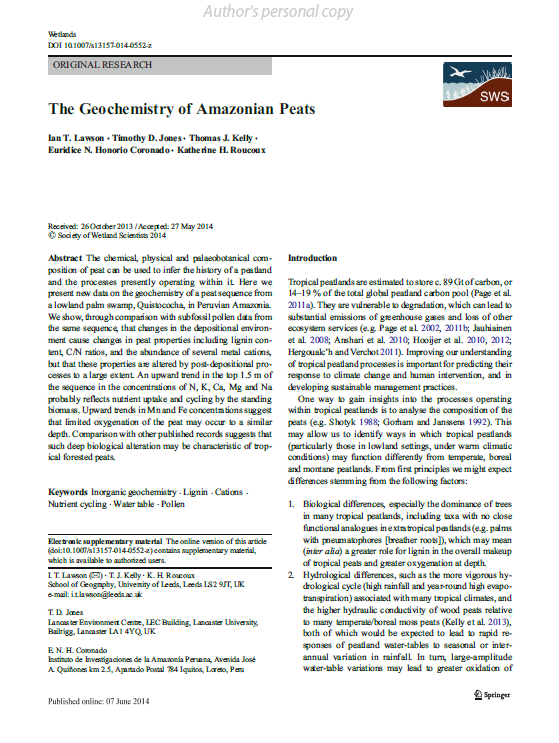 “The geochemistry of Amazonian peats” is available at http://link.springer.com/article/10.1007/s13157-014-0552-z. This paper discusses new and existing geochemical data from Quistococha, Peru, and attempts to build a framework for interpreting peat chemistry. This is an important tool for understanding the processes of peat accumulation and decay, and ecosystem functioning.